A concrete slab is something you may choose to install for several reasons. Yard sizes vary from home to home and you may need more driveway space. Perhaps your garage doesn’t exist or the one you have isn’t big enough, you may need an outdoor storage area for your tools, but you need a concrete slab to place a shed on. The reasons can go on forever for why you would need a concrete pad. The main reasons you may need a concrete pad installed is if you are looking for an extended driveway, a miscellaneous slab, or to build a toolshed. There are several home owners that park in the back of their houses and enter through a doorway there. If you like the idea of being mysterious and parking hidden away from neighbors, you might enjoy a concrete slab trailing around the back of your home. Most driveways are either a straight pull in or a curve around the front, but if you add a slab you are offering up a whole new entrance to the bat cave. If you would like for your personal entrance to be private, you can consider installing a gate for extra measure. You don’t have to define what you do with the concrete slab right away. Perhaps you want to setup a patio outside, and you want the flexibility of parking your vehicle on the side of the home. Maybe you have a boat and you need some concrete to park it on, a concrete slab can be perfect for that. You need something that can be interchangeable for whatever you need it to be at the time. If you install a concrete slab you don’t have to worry about killing grass in your yard or removing something because it has been sitting for too long. 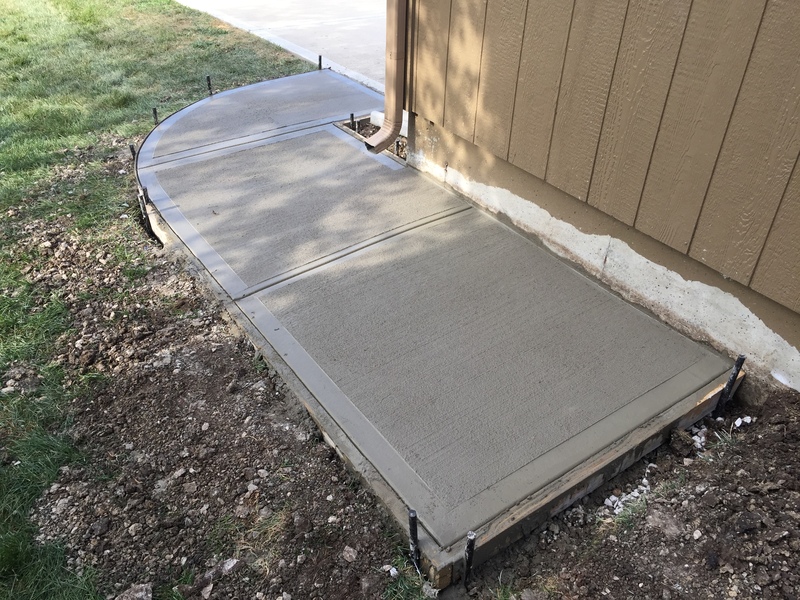 A concrete slab is reassurance that your items that need to sit for long term are ok.
A concrete pad installation is extremely beneficial if you need to build a dog house or a toolshed. Sometimes we need a place to keep our tools or antique vehicles. A toolshed that has enough space is the perfect place to house these things. We can only provide the housing if we have a slab that is built for this type of storage. You can build right on the grass, but you have to worry about the maintenance of the grass. With a concrete slab you will already know that your concrete slab is good enough to build on, or just to keep your tools and machinery safe. Concrete slabs are great because they don’t require any maintenance, depending on what you are doing with them. If they need cleaning a simple pressure wash can have them looking as good as new. You may need to get a concrete slab installed if you want an extended driveway, a miscellaneous slab, or if you’re building a toolshed. All of these options can provoke you to select to install a concrete slab that will serve its purpose for years to come.